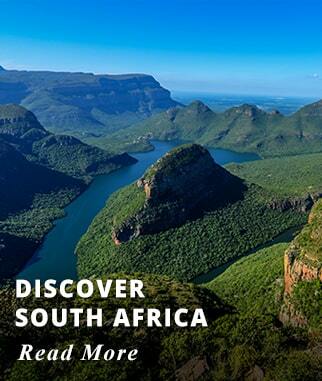 Enjoy the splendor and the beauty of South Africa's most cosmopolitan City. 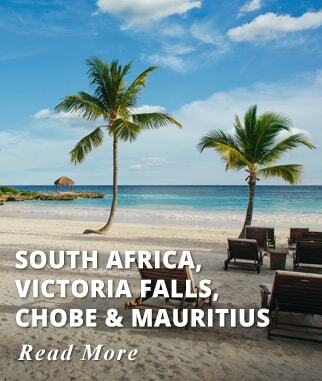 Set in a spectacular natural setting, Cape Town offers something for everyone from iconic sites such as Cape Point, Table Mountain, or Robben Island to world class Museums, Shopping and Restaurants. 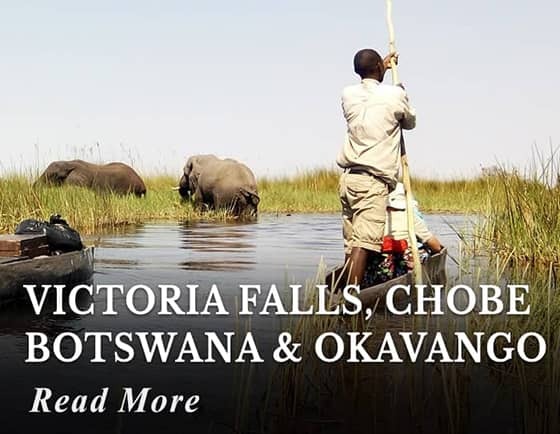 Embark on a Safari Adventure on a search of the Big Five and other fascinating wild life; with the added advantage of staying at a Private Safari Game. Lodge which offers superior opportunities for game viewing. 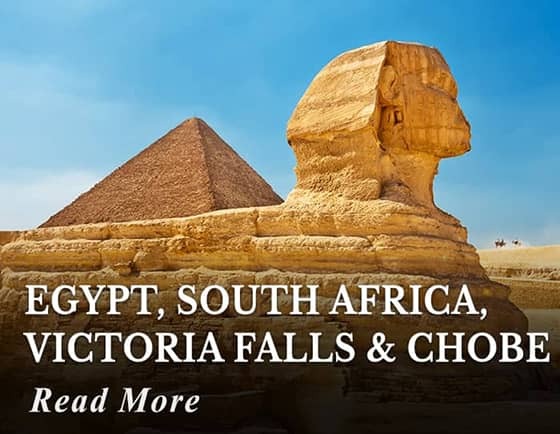 Board your international flight to Cape Town South Africa, we offer departures from most major Cities within Canada and the USA. Arriving at Cape Town Airport, you will be met by our Representative and transferred to your Hotel. Accommodation: Protea Cape Town Waterfront Breakwater Lodge. Breakfast at your Hotel. Then spend a full day at leisure as you wish. 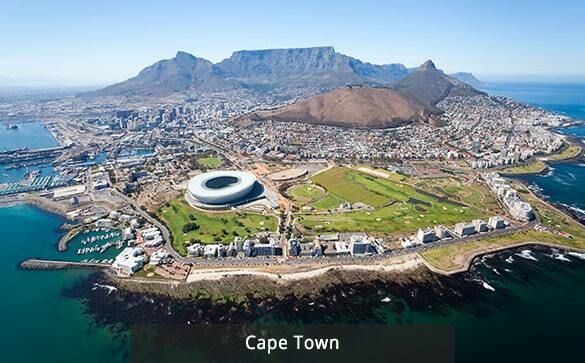 Cape Town is considered one of the most beautiful Cities in the World; a cosmopolitan hub home to South Africa's most iconic attractions such as Table Mountain, Robben Island, The Cape Point, The Victoria & Alfred Waterfront and Boulders beach to name a few. 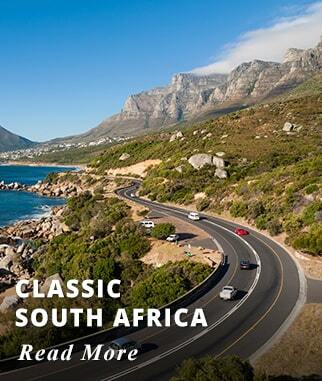 Full day Cape Point Peninsula Tour: Visit the most South-Western point on the African Continent. Along the way admire the beautiful landscapes of mountain and ocean. 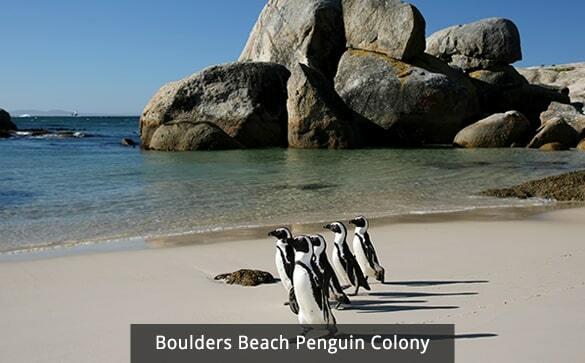 Other highlights of the tour include Hout Bay, Chapman's Peak, Noordhoek Beach, the two lighthouses on the tip of Africa, the Penguin Colony at Boulders Beach and Simonstown. End your tour with a visit to the Kirstenbosch Botanical Gardens. $99 USD per person. 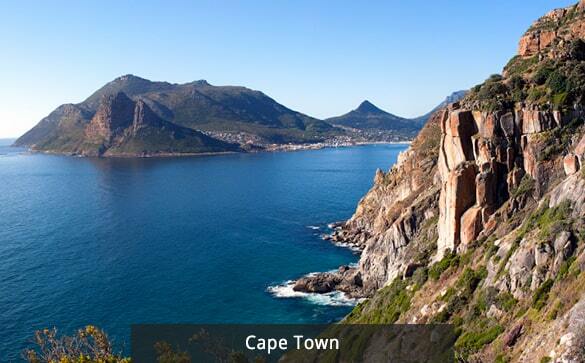 Activities included today: Full day Cape Point Peninsula Tour. Breakfast at your Hotel and a full day free to enjoy at your own pace. Make your way to the famous V&A Waterfront with its bustling atmosphere and array of tourist attractions, restaurants museums, and shops. 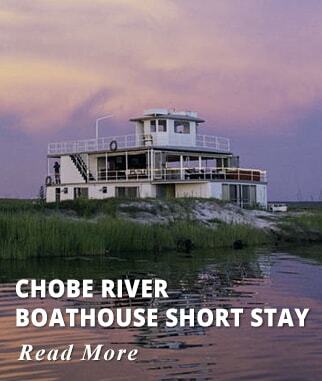 You may also want to add an optional tour to your itinerary. Full Day Robben Island and City Tour: Morning boat cruise to Robben Island for a guided tour of the old Prison and a look back into the history of Nelson Mandela and his fellow prisoners. 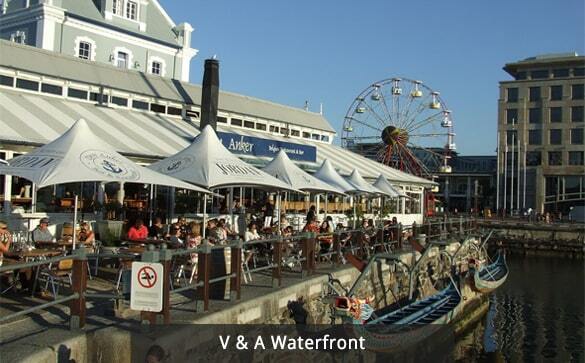 Return to the V&A Waterfront for lunch (Own arrangement). After lunch depart on a half day city tour. 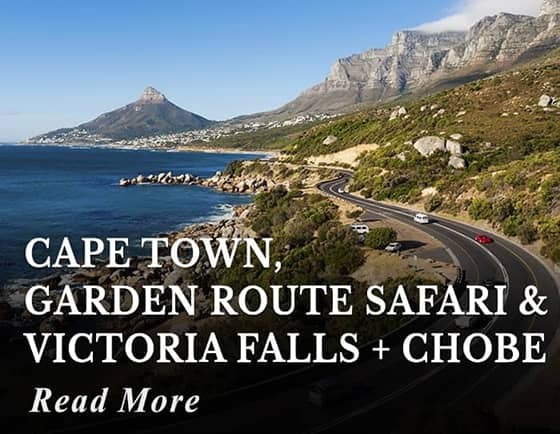 Including all the 'must-sees' of any Cape Town day tour, showing you Cape Town from its historical beginnings to the dazzling modern shopping malls of the Victoria & Alfred Waterfront. $99 USD per person. 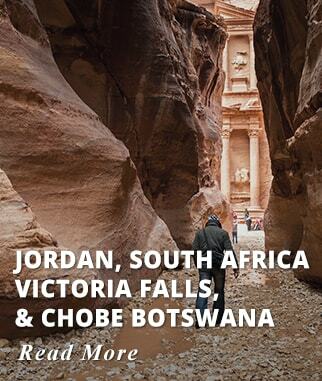 This morning enjoy a half day Tour of one of the most iconic sites in Cape Town, Table Mountain. 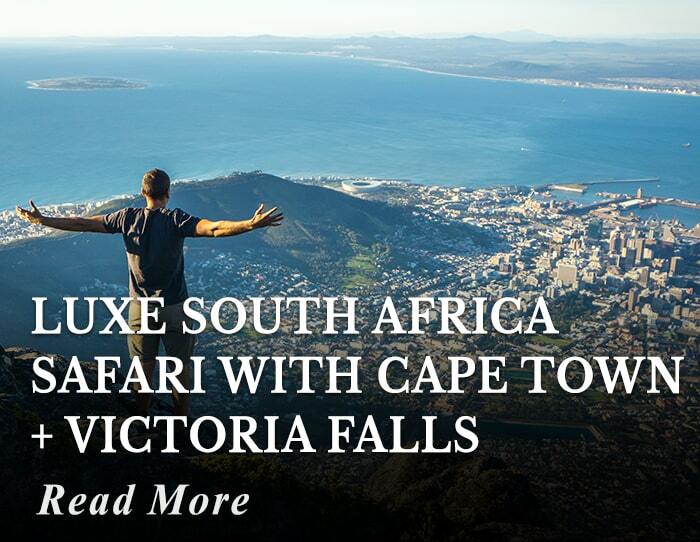 Take the exciting 360-degree rotating cable car to the top (fee not included) for fantastic views of the Atlantic and Indian Oceans. After your tour return to your Hotel or perhaps you may want to visit the Two Oceans Aquarium with more than 3000 marine creatures on view - including sharks, turtles, and penguins. Located at the Victoria & Alfred Waterfront. Activities included today: Half day Table Mountain Tour. 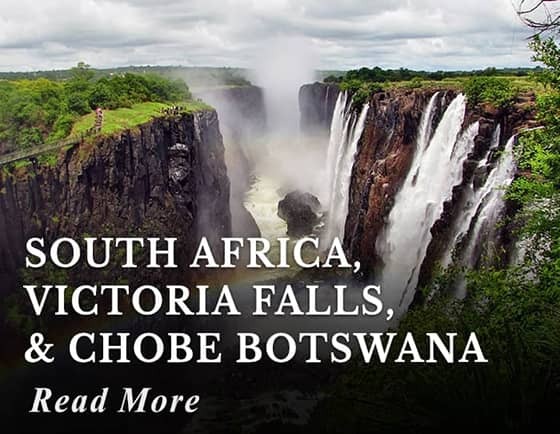 After breakfast at your Hotel, our representative will transfer you to Cape Town Airport to board your flight to the Town of Hoedspruit, located between Kruger National Park and the Blyde River Canyon. 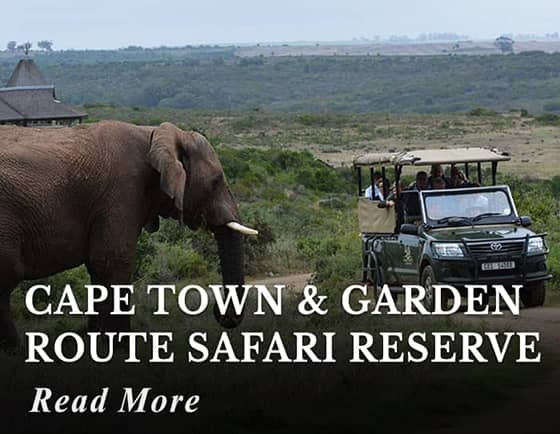 Upon arrival, you'll be met and transferred to your Private Safari Game Lodge. 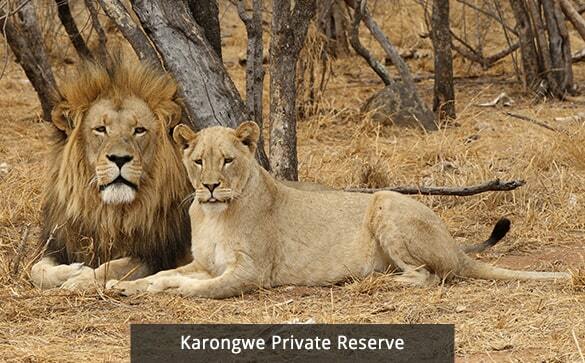 Located in Karongwe Private Game Reserve, bordering the famous Kruger National Park. 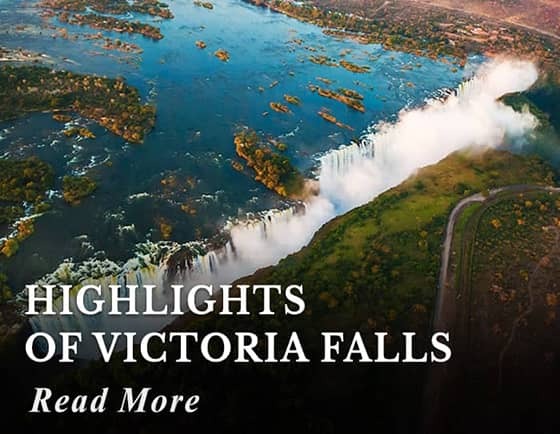 These Private reserves offer excellent game viewing opportunities together with the advantages of smaller, hosted accommodation and game drives. 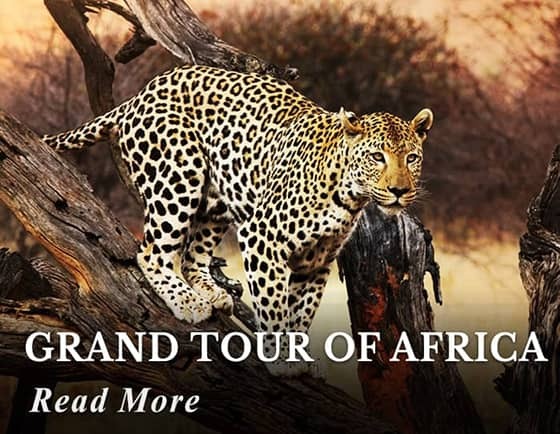 Arrive at your Lodge, Shiduli Private Game Lodge; Shiduli offers an unrivaled African Safari experience where the warm atmosphere, friendly staff and fine cuisine compliment the excellent game viewing. Accommodation: Shiduli Private Game Lodge (or similar). 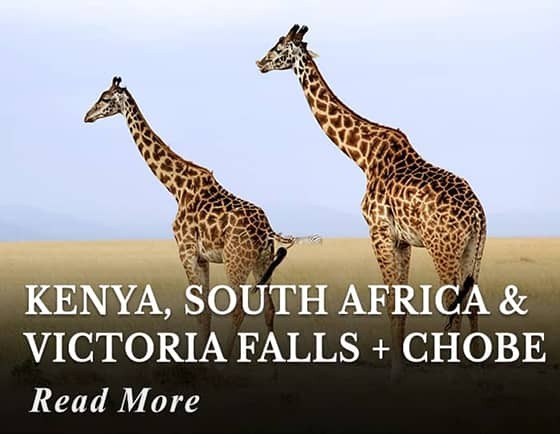 Upgrade at an extra cost to: Becks Safari Lodge. 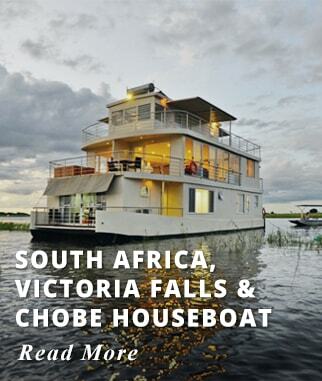 Activities included today: Travel by flight Cape Town - Hoedspruit. 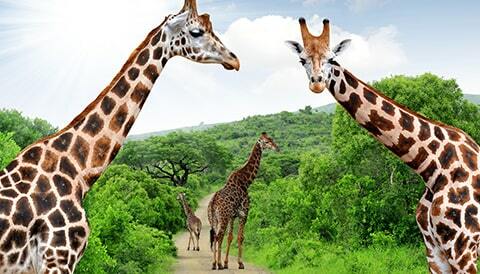 Enjoy an afternoon Safari Game Drive. 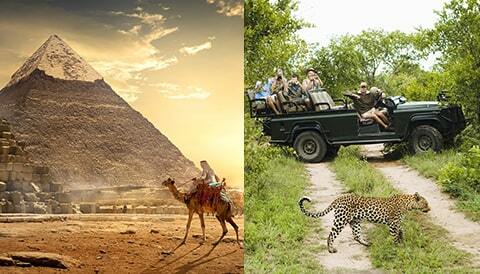 Today enjoy early morning and afternoon Game Drives at your Lodge. 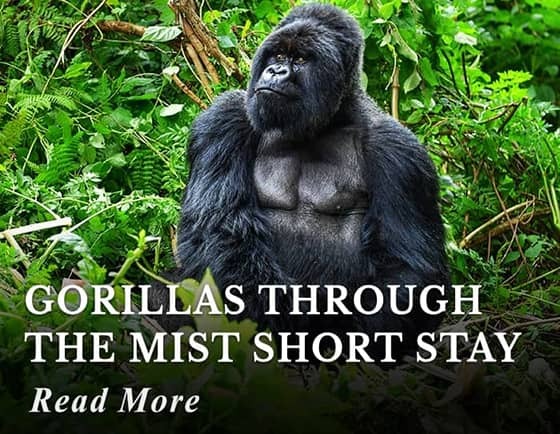 Shiduli is located in the Karongwe Private Reserve nestled in the heart of the game rich Lowveld with the spectacular Drakensberg Mountain Range in the backdrop. 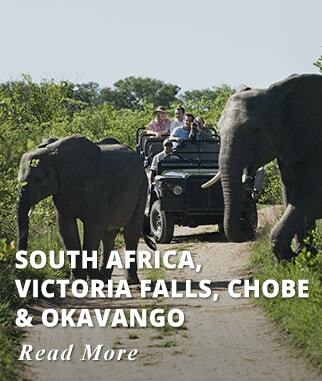 The "Big Five" lion, leopard, elephant, rhino and buffalo, can be found here. 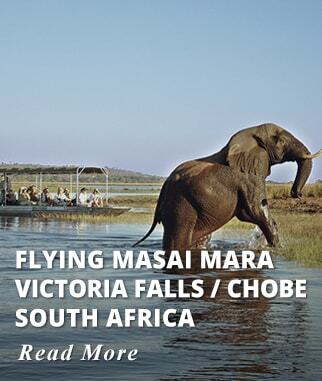 The reserve is home to other wildlife such as cheetah and hippo and over 350 species of birds. After an early coffee or tea embark on another day of morning and afternoon, Safari Game Drives with your knowledgeable Ranger and Tracker. 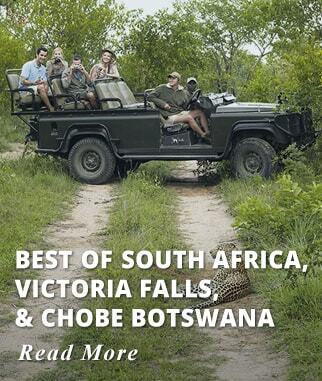 A rare close-up view of the Big Five and other wildlife awaits. Situated amongst four rivers, Karongwe is home to diverse habitats of flora and fauna as well as prolific birdlife. In between Game Drives you can relax at the outside lounge with a view of the watering hole and the Drakensberg Mountains in the background. Enjoy an early morning Game Drive. Return to your Lodge for breakfast. Later transfer to Hoedspruit Airport for your return home. 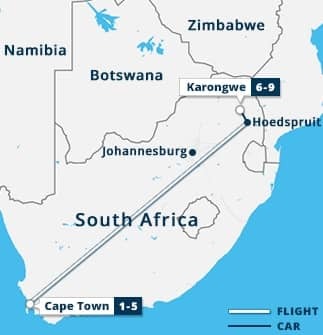 Domestic Flights from Cape Town to Hoedspruit. 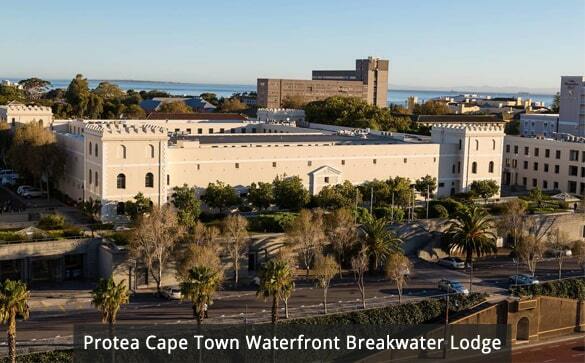 Four nights of accommodation at Protea Cape Town Waterfront Breakwater Lodge. 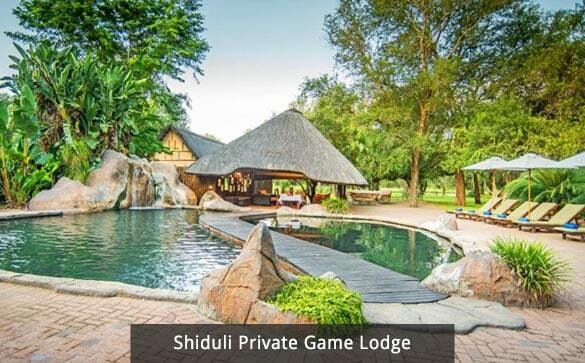 Three nights of accommodation at Shiduli Private Game Lodge, Karongwe Game Reserve. Half Day Table Mountain Tour, Cape Town. 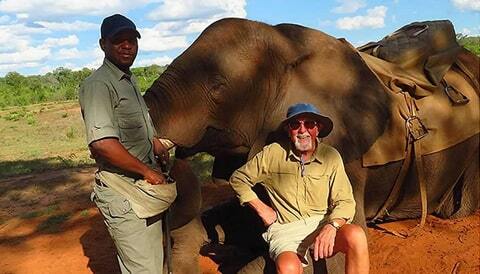 Three Morning Safari Game Drives, Karongwe Private Game Reserve. 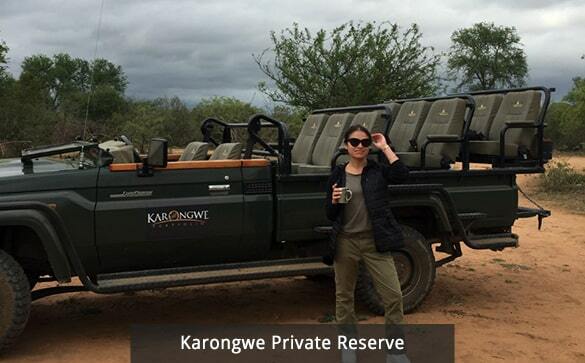 Three Afternoon Game Drives, Karongwe Private Game Reserve.